Home Personal Finance Could Rent Payments Build Your Credit Score? You’re fiscally responsible. You pay your credit card bills and your rent on time, every month. Paying your credit card bill on time is a major factor in raising your credit score. On-time mortgage payments also raise your credit score – but paying rent on time generally has no effect on your credit score. Why is fiscal responsibility rewarded in one case and not the other? While all credit card payments are reported to the three major credit bureaus (Experian, Equifax, and TransUnion), most rental payments aren’t. Your credit score is calculated based on the information in your credit report. Payments that aren’t reported can’t be considered – and not all credit-scoring systems take rental payments into account even when they are reported. Lower-income Americans are hurt the most by this policy since they’re more likely to be renters and to pay a larger share of their income in rent. A recent study by the New York City Comptroller’s Office and Experian calculated potential benefits of factoring on-time rent payments into credit scores for Big Apple residents – and the Comptroller’s Office is starting pilot programs to put these benefits into action to help lower-income neighborhoods. The study found that approximately three-quarters of New York City renters would receive a significantly higher credit score if rent were included in the reports and scoring systems, with major benefits for those who can’t afford the high-rent districts. Over one-quarter (28.7%) of residents with rent payments below $2,000 per month would be able to obtain their first credit score ever. Across all residents in the sub-$2,000 monthly payment category, the average score would rise to 700 – with 57% seeing an increase of one to ten points and 19% with an increase of more than ten points. New York City is fertile ground for rental reporting pilot programs since only 13% of residents have a current home mortgage and only 14% have a current auto loan. Without those two credit sources, credit files tend to be thin. Credit cards may be the only source available for lenders to assess risk. Lower-income borrowers can keep credit scores relatively high by always making payments on time, but they’re also logically more likely to harm credit scores by using more of their available credit and carrying balances. Reporting of monthly rent payments would partially neutralize this harm by increasing the percentage of positive credit report events. However, rental-reporting benefits aren’t limited to lower-income neighborhoods. When the study sample was expanded to include all monthly rent levels, 61% of renters would see some improvement in their score and 31% would be able to obtain their first credit score. Some of these services charge fees to renters, while others charge landlords. Some report to only one of the bureaus. You may have to allow direct rent payment withdrawals from your checking or savings account. Ask landlords if rental payments can be reported and if they’re open to the idea. If so, research your options to find a service that works for you and your landlord. Ask how personal data and account information is protected. Review the costs and estimate the benefits you’ll receive. How would you benefit from the changes? Would you try to change to a credit card with a better rate? Are you planning to get an auto loan in the near future? Do you need a better credit score just to qualify for credit? For reference, the study found that interest on a $20,000 auto loan in New York City ranges from $4,821 for subprime credit (500-589) to $1,084 for excellent credit (720-850). It doesn’t take much of a credit score change on a large longer-term loan to have a huge impact on costs. You may not have access to rental reporting right now, but you can explore options. Check with your landlord and see if it’s possible to report your rent to the credit bureaus. At best, this shows a landlord that you’re likely to continue making on-time payments – you wouldn’t ask if you were planning to skip payments. At worst, the landlord refuses and you’re no worse off than you were. You can consider a rental-reporting agency, but make sure you understand what you’re signing up for and that the financial benefits outweigh the costs. If there’s no way for you to report your rent, get the most benefit out of the reportable payments you do make. Always make all payments on time and keep your credit usage as low as possible compared to your credit limit. Don’t forget to check your credit report periodically for errors or signs of fraud – you may increase your credit score just by removing problems. 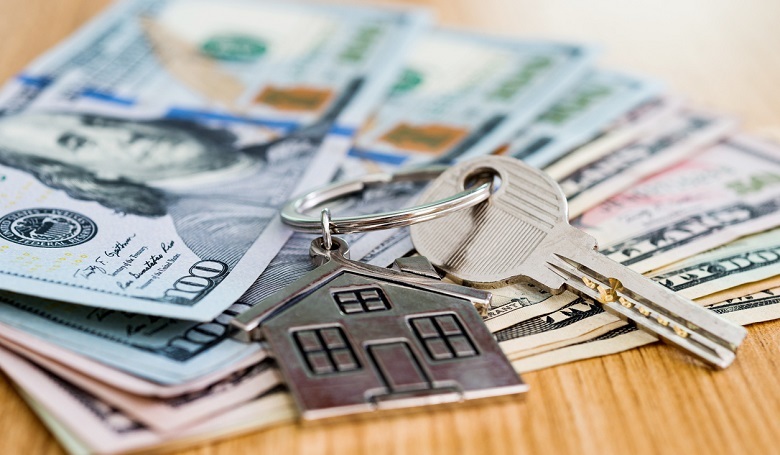 Maybe a credit-reporting program will come to your area, or you’ll eventually save enough to buy a home and take advantage of mortgage payments instead. In the meantime, work with what you have.